Melbourne International Comedy Festival Posters Number 10. 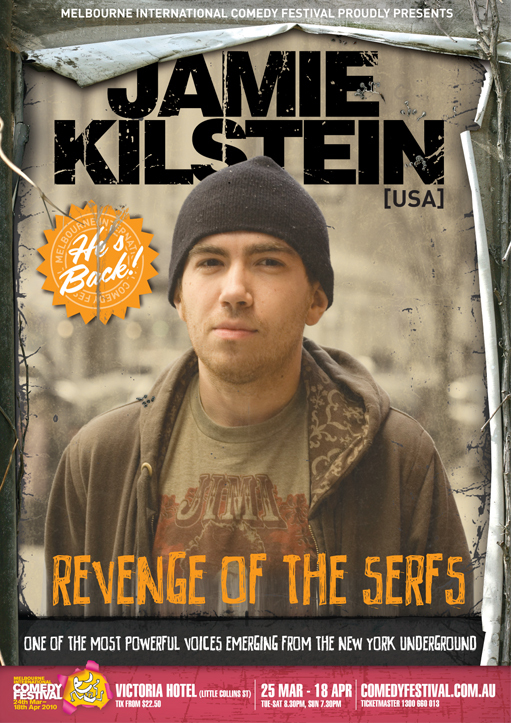 Tenth in the series is version 2 of Jamie Kilstein’s poster. 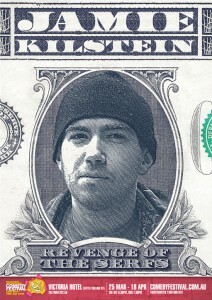 He da money. Melbourne International Comedy Festival Posters Number 9. Poster Number 9. 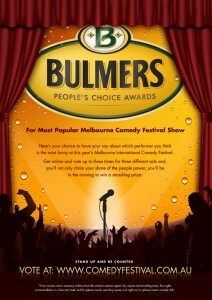 The Bulmers Choice Awards. Choice. Melbourne International Comedy Festival Posters Number 8. 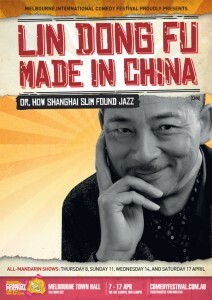 All the way from China we have the zany Lin Dong Fu, or Shanghai Slim to his friends. Melbourne International Comedy Festival Posters Number 7. 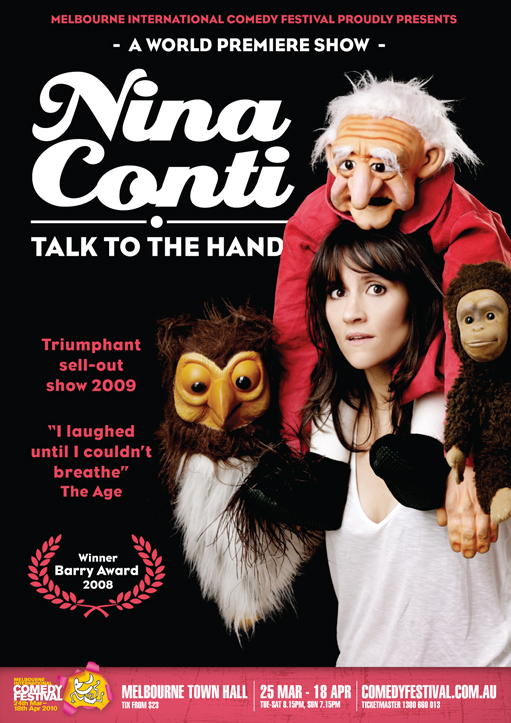 Seventh in the series is Nina Conti with her show Talk to the Hand. 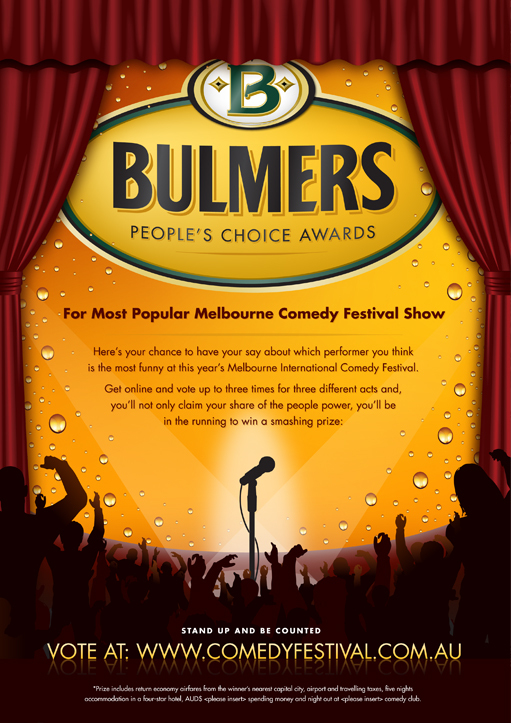 Melbourne International Comedy Festival Posters Number 6. 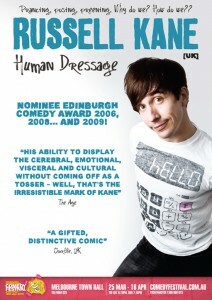 Next, we have Russell Kane (UK) with his show Human Dressage. Melbourne International Comedy Festival Posters Number 5. Fifth in the series is the surly Jamie Kilstein. 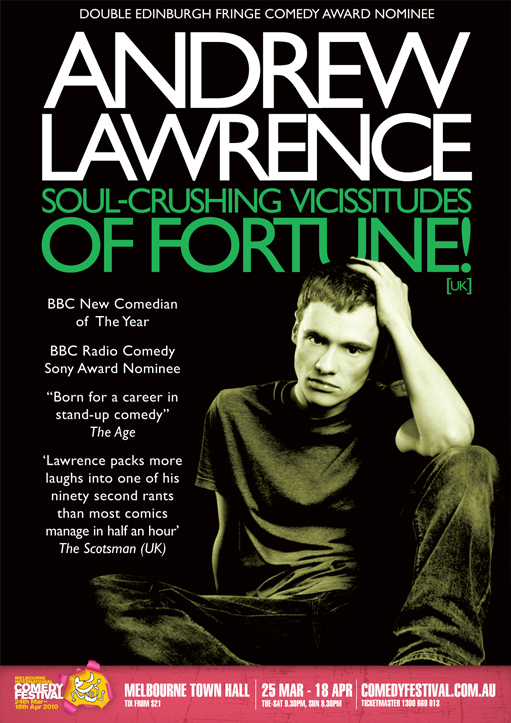 Sure, he has strong political views, but he’s willing to have a chat about them after his show. I like that. 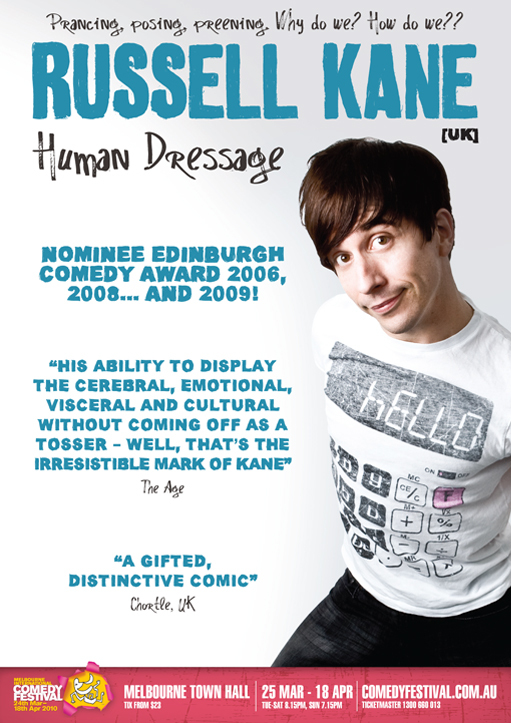 Melbourne International Comedy Festival Posters Number 4. Number 4: The broody Andrew Lawrence. Actually, his humor is apparently quite light. It’s all about contrast, you see. Melbourne International Comedy Festival Posters Number 3. It’s Easter long weekend this weekend so you get a special treat: two posters in one day! 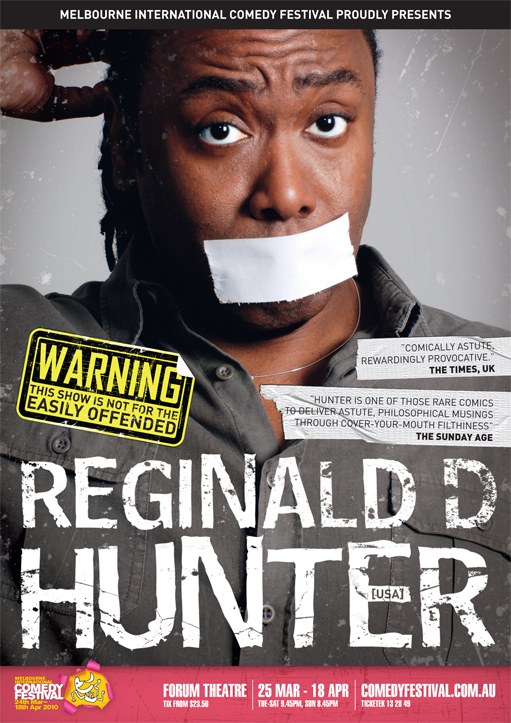 Here is the very funny Reginald D. Hunter. Best of the fest? You decide.